I’d like to thank Knorr for sponsoring this veggie burrito bowls post. I’m a total sucker for the current bowl culinary trend, and I love coming up with fresh and delicious bowls for my family to enjoy. One great dish we’ve been having for Meatless Monday (or any day!) 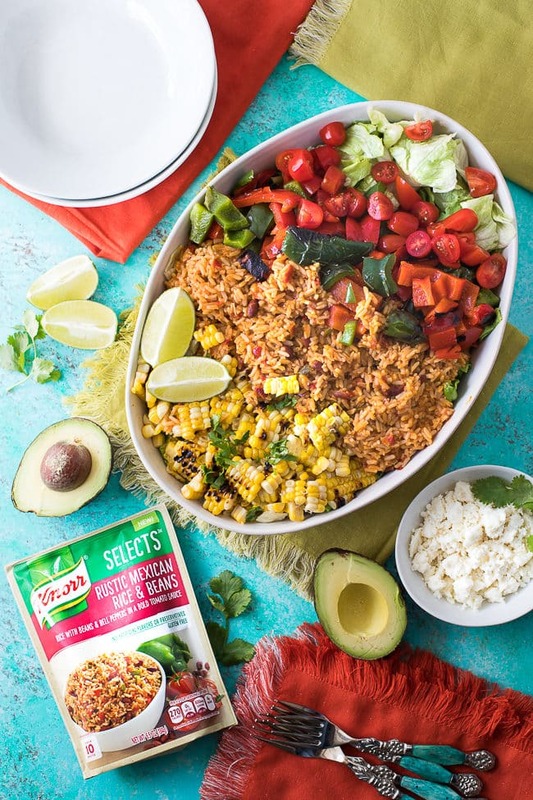 is this veggie burrito bowl featuring Knorr Selects. 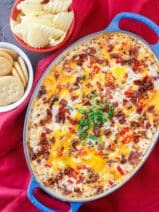 It’s a perfect summer family meal because it’s chock full of so many delicious flavors of the season, yet it’s super simple to put together in a pinch. 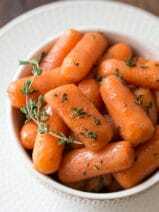 There are so many recipes and methods out there for grilling veggies, but, I have a secret for you. Just brush your vegetables with a little bit of olive oil and throw them on the grill. Honestly, they turn out wonderfully this way and there’s no need to wrap anything in foil or to work with special seasonings. I’m all about simplicity and my husband swears by this method of grilling sweet corn. Who doesn’t love those little charred spots here and there? I swear, it makes everything taste better! 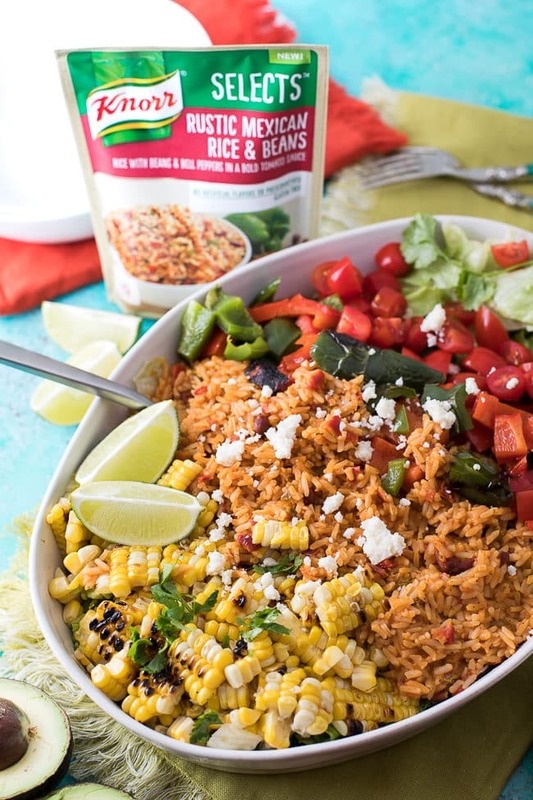 The real star of these easy veggie burrito bowls is the Knorr Selects Rustic Mexican Rice & Beans. I am a HUGE fan of the flavor, and it tastes so great alongside tender roasted veggies, crisp lettuce and tomatoes. Knorr Selects are made with no artificial flavors, no artificial preservatives and it’s gluten free. I love that! They were created by chefs for families with demanding schedules. The rice is ready in just 10 minutes, giving me so much flexibility to incorporate it into a one-pot dish or to serve it as a tasty side. 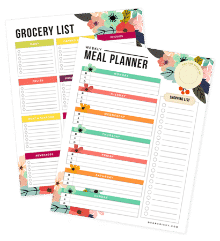 If you’d like to give Knorr Selects a try, you can grab a coupon on their website! 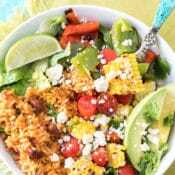 My whole family loves these easy veggie burrito bowls, and there are so many ways you can remix this recipe to make it your own. You can use different vegetables, different cheeses, or add sour cream and salsa. It’s such an amazingly delicious summer dish that I know you’ll enjoy as much as we do. I also really love adding cowboy caviar to my burrito bowls. If you haven’t tried cowboy caviar before, you simply MUST try this scrumptious recipe! Prep your cold veggies while the grill heats up. Chop your tomatoes, lettuce, avocado and cilantro. Set aside. Prepare your corn and peppers. Slice peppers in half from top to bottom and remove seeds and membranes. Remove corn from husk. Coat all veggies with 1 tablespoon olive oil and place directly on the grill. 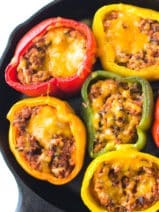 Rotate corn and peppers 2-3 times while grilling for a total of 10-12 minutes, keeping an eye that your peppers don’t burn. Keep the lid down between rotations. Peppers and corn will have some charred spots—it’s yummy this way! This is a very no-fuss way to grill your veggies directly on the grates and it turns out delicious! Remove veggies from grill and cover in foil while you prepare your rice. Prepare Knorr Selects Rustic Mexican Rice & Beans per the package instructions. While your rice is cooking, take the opportunity to cut the kernels off your corn and dice your cooked peppers. 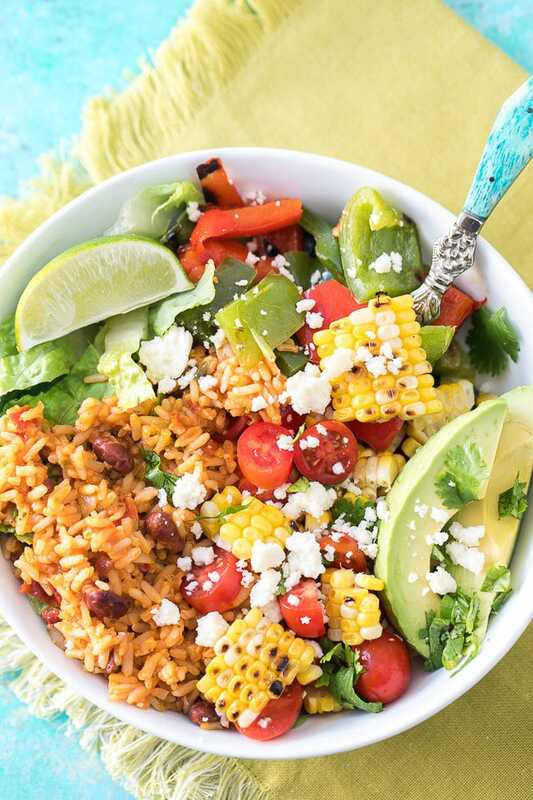 Add all ingredients to a large serving dish and let your guests create their own yummy veggie burrito bowls. Top with some fresh cilantro and crumbled queso fresco! I’m sure I’ll love it as much as you do too! 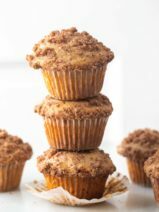 A good, quick (and simple) recipe is all we want for our busy schedule! 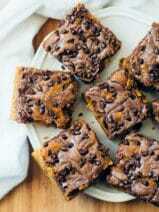 This looks so tasty good! I’ll have to look for this Knorr variety when I go shopping this week. My family and I love making veggie bowls.